Have you heard of or played the game of mancala? If you have, you have played the most common game in the world. Let that sink in for a moment. A simple game managed the task of connecting the entire planet. And did so long before Facebook, Twitter or the internet. People from childhood all the way thru old age can benefit from playing Mancala. Since most people are familiar with the game, very little time will go to explaining it. But in case you have never played, here is a simple explanation of gameplay. There are 12 cups with two long stores at the end. Each cup has 4 seeds in it. Players take turns taking all the seeds from one cup on their side. They "sow" them in counter-clockwise order. Players sow one seed per cup including their own store in the order. When they run out, their turn is over, unless they land in their store with the final seed, then they get a free turn. If the land in an empty space on their side, they capture that seed and any in the cup directly across from it. Simple yes, but how can such an elementary idea be useful? Read on to see. As young children learn to count, having something small to hold helps the process. Just being able to pick them up and count them out, as they drop them cements the learning process. If you want to make it even more fun for them, play with M&M's or chocolate chips. Let them eat as high as they can correctly count. Mixing learning with sweets creates external motivation and makes learning fun. If you know anything about child development, you have heard of fine motor skills. These small movements include holding pens, picking up beads or opening candy wrappers. They take practice and effort to learn. Mancala helps by teaching them to pick up multiple items and set down one at a time. As with any game, children learn to move their pieces one at a time. Instead of thinking they can move all they want, they learn to wait their turn. It may come as a shock to the uninitiated what a difficult task this is for children to master. Mancala teaches critical thinking at each age group. And it does so whether players realize it or not. And, unlike chess or checkers, the movements, pieces, and gameplay stay simple. Some versions get more complex, but those are best for older children. You may have noticed the great lack of critical thinking in our "google it" society. Mancala can help build that trait in children you know. If you want to kill a couple hours with your kids, build mancala boards with them. You can do this any of a hundred different ways. Try it with egg cartons if you want to do it fast. Or cut down paper cups if you rather it took longer. Or if you want to keep them occupied for hours, in which case use sandpaper and wood. Also, try decorating vase beads with paint markers for even more fun. Subitizing means understanding the total number without counting them. You look at a star on the flag and you know it has five points. You see a traffic light and know automatically it has 3, 4 or 5 lights without counting them. 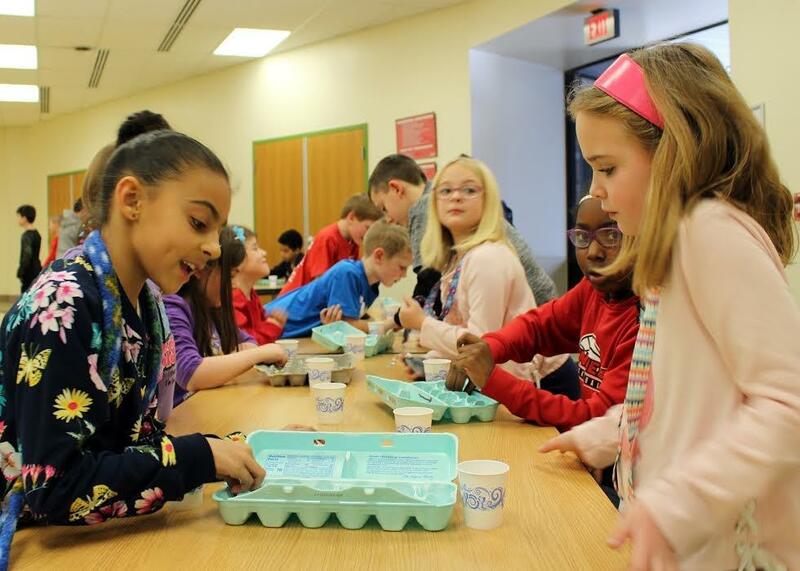 Mancala helps children recognize how many seeds are in a cup without physically counting them. Also, it helps to introduce some ideas of multiplication. 6 cups on my side with 4 seeds per cup means how many seeds? It's no secret that degenerative brain disorders plague our society. Board games, in general, seem to have a positive impact on long-term brain health. Mancala does as well. Critical thinking skills don't only help children. Everyone could use a good dose of brain-boosting activity like what mancala provides. In recent years, drug addiction treatment has come under scrutiny. Many suggest that helping addicts to re-enter society by aids in permanent recovery. It helps even more when you use a positive social game. Mancala makes an excellent choice here. The games go quick and the payoff for a win is instantaneous. Plus, it helps people connect thru conversation while playing. If you seek long-term drug recovery for yourself or someone else, try playing Mancala. Just as it can aid in fine motor skills for toddlers, mancala makes great physical rehab. 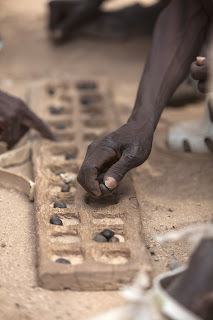 The game requires picking up multiple pieces and transferring one at a time from palm to fingers. It engages muscles in the entire hand, brings blood to the tendons, hits the thumb muscle. As an added benefit, it strengthens the mind-muscle connection between the brain and hand. Last, but not least, playing mancala at a game night makes for a fun time. You can even play group variations to spice things up a little. Or maybe make it into a tournament. No limit exists to the amount of fun you and your friends can have playing mancala together. The simplicity of the game makes rounds go quick. The underlying strategy makes the competition intense. Further, the rule variations keep you and your opponents on your toes and focused. The benefits are there for sure. Why not start playing Mancala with some friends today? If you don't have a board already, you can make one from a few things around the house. Or, if you prefer more decorative types, check out these options here. You don't need anything fancy. But some solid wood boards with high-quality stones will last longer. But whatever you choose, start sowing the pieces today and reap the benefits for the rest of your life. Mancala is a fun and easy game that has been loved for ages. In fact, it's one of the oldest known games in the world. If you love playing mancala, you'll be interested to know its story and how it became so popular. Read on to learn more about mancala origin! Mancala is one of the oldest known two-player board games in the world. 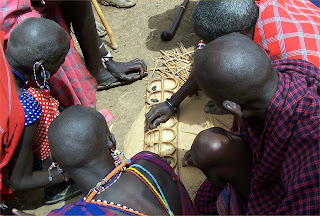 It is believed that the game began in ancient Africa. Evidence of the ancient board game has been found dating back to the year 700 AD. These archeological treasures were first found in Aksumite settlements in Matara, Eritrea) and Yeha, Ethiopia. It is believed that Arabian traders brought the game with them when traveling to distant lands. The game's modern version, "Mancala," is a derivative of an Arabic word - Naqala, which means "to move." Its name seems to be quite suitable as this ancient game was quickly adopted around the world. In fact, the travels of Arabian traders helped cement the game's international popularity. Even hundreds of years ago, this beloved game was commonly played in a variety of countries in southeast Asia, the Middle East, Africa, the Baltic states, and North America. While mancala took longer to catch on in Europe, it continued to grow elsewhere. Its simple and enjoyable nature contributed to its popularity. These historical origins map the story of a game played thousands of years ago. From a single point of creation to its vast consumption across the world, this ancient game bears little difference from the version played today in your own home. Mancala was believed to have been brought to the United States along with the enslaved African people. Today, it's still one of the most widely played board games in the world. 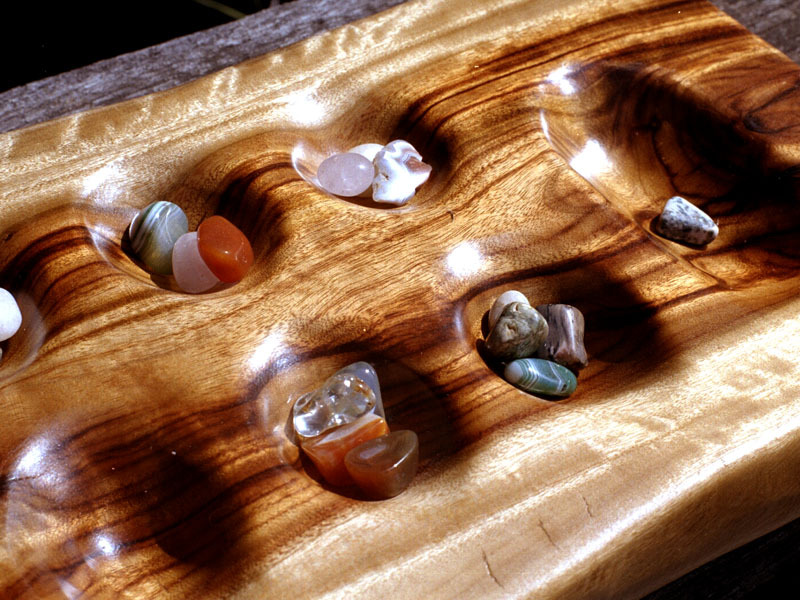 Beautiful mancala boards are available online and delivered to your door with the click of a button. This is far different from the amount of effort that was once required. While the name of the game may change, the traditional mancala board has largely stayed the same. Its modern version, which is most commonly played in the west, is commonly referred to as Kalah. This "count and capture" game was introduced to the American market in the 1940s. It was both easy to play and easy to love. Quickly, Kalah became a popular pastime and is still the most popular Mancala game in the western hemisphere. Through the ages, the appeal of mancala has never disappeared. This simple game has been played by both kings and commoners and still brings joy to modern players. If you're new to it, learning the rules is simple. If you're an experienced player, you may have an interest in gameplay strategy. Regardless, our website offers great insight into the magical world of mancala. To learn more about mancala origin or improve your technique, check out our other posts for helpful tips. Are you looking for a game to play that is simple and fun for all ages? Enter mancala. Mancala is one of the most beloved board games around the world, and it's actually been around for quite some time. In fact, archeologists have actually found evidence of the game in Africa dating back to between 500 and 700 AD. If mancala has made it through hundreds of years of history, it's clear that it's definitely a game worth knowing about. But, how exactly do you play mancala? Read this guide to learn how to play mancala in 5 easy steps. First things first, you need to make sure you have the right set up. Place the board between you and the other player, with the long side of the board facing you. You should see two rows, each with 6 cups, and one long cup on each end, also known as the "mancala" (meaning "to move"). Your side is the 6 cups closest to you, and your mancala is the one to the right of you. 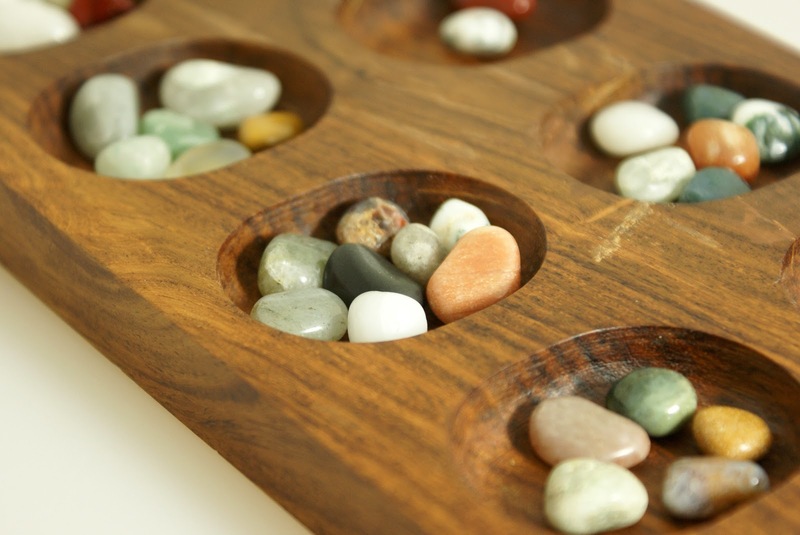 To set up the board, place 4 stones in each cup, with the exception of the mancala cup. In total, there should be 48 stones on the board. To decide which player goes first, you can either flip a coin or play Rock, Paper, Scissors. Then, the game begins by the player picking up all the stones in one cup on their side of the board. They can choose to pick up stones from any of the cups on their side, however, they must drop the stones in the succeeding cups, and they must drop them in a counter-clockwise direction. Players can place stones in their own mancala cup, however, they cannot place stones in their opponent's mancala cup. But, they may place stones in the other player's cups. If your last stone falls in the mancala, then you are allowed another turn. If your last stone falls in a cup that is empty on your side of the board, then you take all the stones from the player's cup that is directly opposite yours. The goal is to get as many stones on your end and in your own mancala as possible. The game ends when one player does not have any stones left on their side of the board. At this point, each player is to count their own mancala stones. The player with the most stones at the end wins the game. As we said earlier, if the last stone you place is in your own mancala, then you get to take another turn. Therefore, if your turn is first, then you should play the cup that is five cups away from your own mancala. After taking your second turn, if your opponent chooses to play a cup that is one or two cups away from their own mancala, then make your next move from the cup that is 6 away from your own mancala. Again, you will get a free turn! How to Play Mancala: Have Fun! Of course, the most important part of playing mancala is having fun! You can pretty much take a mancala board anywhere, so get ready for this to be your new favorite game. And, now that you know how to play mancala, it is time to purchase your own board. Comment below if you have questions about choosing a mancala board. And, if you're looking for cool places to play mancala, be sure to check out this post.